A woman who saw the news about 13 children allegedly being imprisoned in their home by their own parents experienced a chilling sense of deja vu. 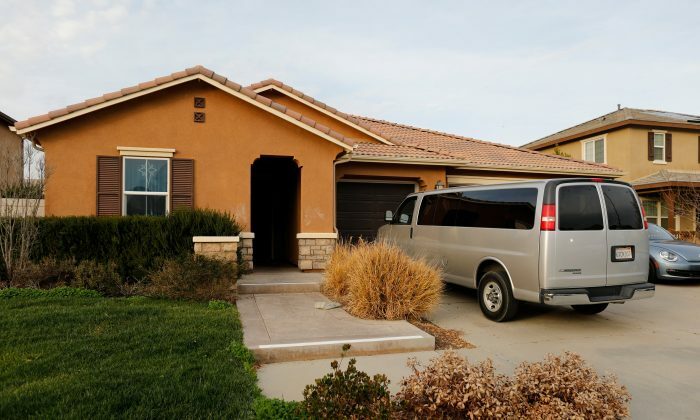 Laura Cowan was rescued from captivity in the same California town of Perris, that the Turpin siblings were rescued from. Her rescue was 20 years ago. Cowan remembers being locked inside by a man she was dating in April 1998. The man had 13 children while she had two at the time. “He took me and my children and he locked us up in a garage for over six months,” she said. Cowan escaped when her captor took her to a post office to mail a package. She showed the postal worker a letter she had written when the captor was distracted. “She looked at me and I looked at her and I was shaking, and I reached under my dress, I pulled my dress up in front of her and I pulled that letter out and I put it on the counter. The next day, she got help for us. It went to the sheriff’s department and they came and rescued us,” she said. Cowan is now a host on VoiceItRadio, hosting a show on Mondays from 8 a.m. to 9 a.m. The Turpin children are recovering after being rescued on Jan. 14 from their home, located about 70 miles east of Los Angeles. Parents Louise and David Turpin have been charged with a number of crimes, including torture and unlawful imprisonment. Police officers said they arrived at the Turpin home after one of the children escaped and used an old phone she had hidden away to call 911. The children were to be living in squalid conditions. They were malnourished and some were even restrained to large objects with heavy chains and padlocks.